It was with great sadness that I read yesterday that one of the brightest lights in literature had forever ceased to shine yesterday. 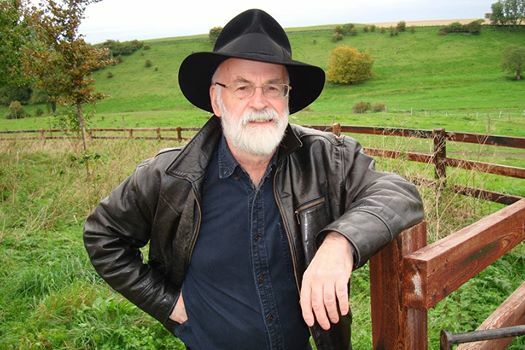 At age 66 Terry Pratchett has lost his long struggle with Alzheimer’s disease. I will forever remember and enjoy reading (again) his novels, for they brought me a lot of happiness over the past two decades. Rest in Peace, Terry! I hope Death was happy with the way you portrayed him and treated you like and old friend! So what is the book about. It is a first hand account of the experiences of Helmut Altner during the last roughly two months of the Second World War. Being 17 at the time he gets drafted into service of the regular Wehrmacht. After extremely minimal training he gets send into the third line defences on the Seelower Höhen. After being subjected to mainly artillery attacks he and his mates join the general flight to Berlin, always trying to keep out of a Russian encirclement until he reaches his barracks in Spandau. Here he and his unit get send back out time and time again to defend Spandau or even counter attack until all hope is lost and he again tries to break out to the west to get to Armee Wenk and the Americans. The book itself proves quite fascinating. On over 200 pages Altner describes his experiences during those two months. The book was originally published in in German in the late 1940’s. He was able to make notes of his experiences and hide them throughout his captivity as a Soviet POW (yes he was caught shortly before he reached the Elbe). Due to this, his account is not only very vivid, but also very detailed. This is only enhanced by the fact that the editor and translator for the English edition (none other than Tony le Tessier), puts a lot of historical context into the footnotes to this edition. His writing style is a bit undefined, typical of a person just out of his teenage years, but if anything this only adds to the realism. His account is very interesting in many aspects. He goes on to tell his own feelings and motivations. He tells about his disillusionment with the Nazi leadership and their ideologies, but also how his sense of duty (and at times treats by NCOs) kept him going. His story also makes clear how general morale and discipline deteriorated over those weeks. How supplies became rarer during those times, only only for quartermaster stores to be opened wide during the last few hours. How weapons and ammunitions were rare and men often received none at all or only recently repaired weapons that had been looted during the Blitzkrieg. 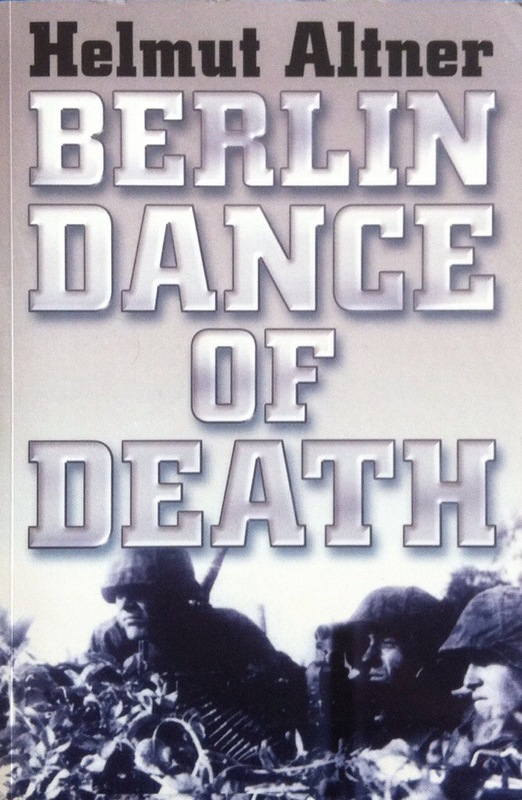 He gives a very good account of the street fighting, how the ad-hoc Kampfgruppen were formed, or now they fought in the subway tunnels under Berlin (one they they are send to fight a relief action towards the city centre). The interesting part is that it also gives a good idea of the fighting spirit of various troop types, like those newly raised troops (like Altners unit), Volkssturm, Landwehr, regulars, SS, Hitleryouth. I was really fascinated by his account of the final breakout to the west. This seems to have been a real up and down. Periods of mad rushes where it was everyone for himself, not caring if this meant the death of others. At times people trying to stick together or even forming new ad-hoc units to survive. How staff officers were pressed into leading men who never had to do so. What I found amazing was that there were tankers, that even during this time did their best to defend the trek to the west instead of just breaking through to save themselves. All in all I found this to be a good read, which gives the reader a very good idea how those last days of the Thord Reich felt for those caught in it. So how good is it? The official retail is 14,99GB£ and I would definitely put its value at full price. It is a real good book on the topic and should be part of any library on the subject. As I indicated, I am off on holiday and the best I can do blogging-wise are book reviews of the books I am reading. So far this has been less than expected. Only roughly a week to go and I finished one of the four books I have taken along. So what do we have. 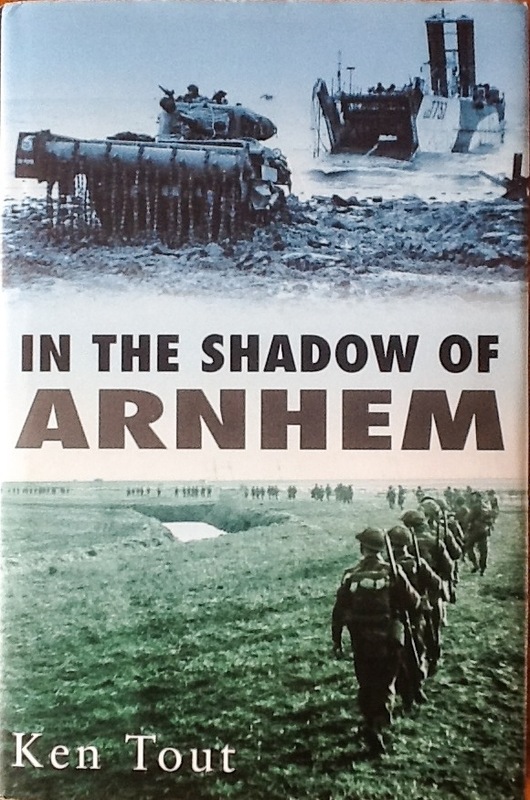 It is “In the shadow of Arnhem” by Dr. Ken Tout OBE. For those who do not know him, Tout himself was a tanker in Normandy and I immensely enjoyed his previous books, both on his personal experiences as well as other Normandy actions. This book deals with the wider parts of the Market Garden operation, that are often overlooked. Many historians go on about what would have happened and how soon the war might have ended, had the bridge at Arnhem been captured. But in reality, this would hardly have mattered. The Allies still needed to open the port of Antwerp to make sure they did not have to drive everything hundreds of kilometres from the Normandy beaches and they would still have had to conquer the areas besides the Market Garden route. Eventually they did, but most people choose to ignore this part of the war due to a fixation on Market Garden itself. And this is what this book tries to achieve, give people an insight into these operations. It takes the reader through the operations to clear Merxem, Walcheren, the Berksen Pocket, the liberation of the Scheld and the other connected operations. If I remember correctly, Tout was twenty when he was in Normandy. This book was published in 2004, which made him and impressive eighty years at that time. When I read the first chapter, I was not too sure, if his age had gotten to him. If I had not had a deeper knowledge of the operations I would have been confused where to place it. For me the book face seemed to suggest, that this would be a tactical or even strategic analysis of the operations and that first chapter simply did not achieve that for me. But once you get to the second chapter the scope of the book becomes clearer. It is not to give an in-depth analysis of the operations. It rather sums up the operations through the eyes of the participants. Telling their stories and how they experienced those weeks and the wettest and coldest of all conditions, fighting over terrain that greatly suited the defender of which the Germans made good use and hindered the attackers. Tout does this through the recollections of the Commonwealth (mainly Canadians for they bore the brunt of operations) and Polish soldiers, Allied aircrews in case of the Walcheren raids and the Belgian and Dutch civilians. And with this he paints a grim picture of the conditions they had to endure. Some of them can be found in other books as well, others, especially when it comes to the Canadians, were new to me. But I think this is also a big shortcoming of the book. A good number of the German defenders survived the fighting and in my opinion their accounts would have been available as well, but went unused with two short exceptions. I felt that many of the skirmishes Tout describes could have been greatly enhanced with an inclusion of German accounts. Otherwise I found his writing style to be precise and quite comprehensible. Unfortunately some of the descriptions of the actually engagements or parts of the operations, ended a bit anticlimactic and abrupt for my taste. And I think he also failed to give the reader and idea of where exactly a given action fit into the wider scheme of things or indeed how an account fits into the action itself. In this regards and map or two would have helped the reader. As a result the book might be a bit hard to understand to those readers who no knowledge of this part of the war. Overall, I would give the book a split rating. Official retail is 14.99 GB£. For those who only want to get to know how it felt fighting in these actions a fair price would be 10 GB£, for those who want to learn about the operations to open the port of Antwerp a fair price would be 3 GB£. Anyway, I will leave you with this. Ken Tout is still going strong. 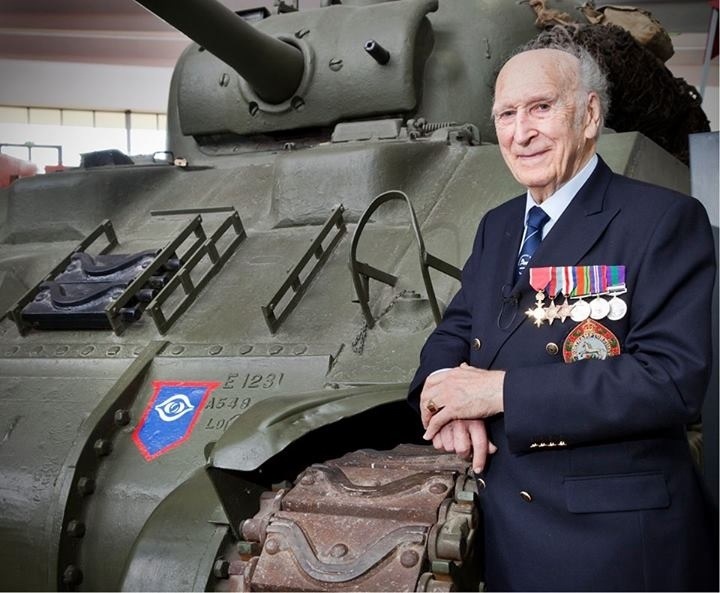 This is a recent photo that shows him at the Tank Museum at roughly age ninety! Now that the big Möckern Project is over, I want to turn my attention a bit towards my WWII minis again (although not completely). 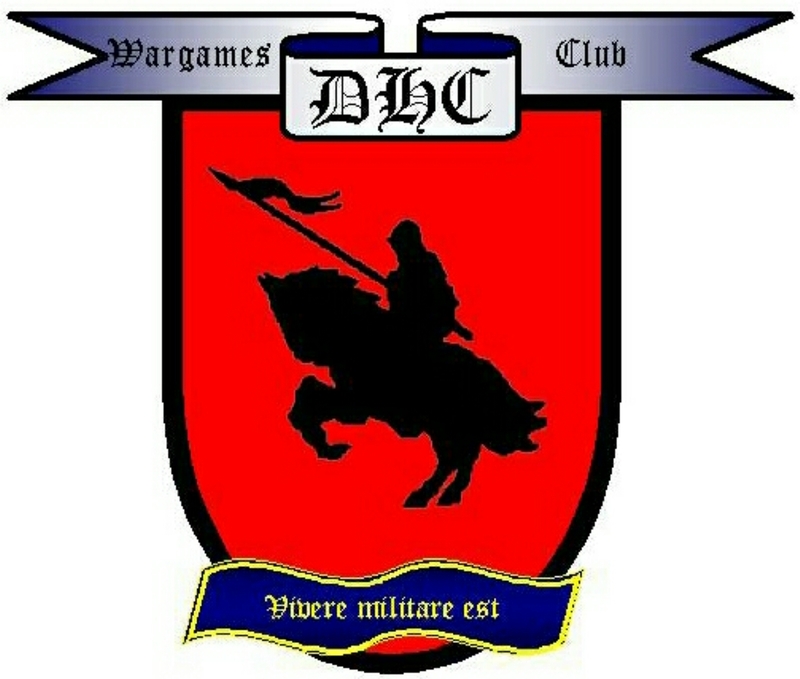 As outlined in another post, I want to paint my WWII Brits and a good amount of my SS for this years Analogue Hobbies Painting Challenge. To get back into the mood I decided to paint some SS this week. And here are the results. Some years ago I went and looked at all the different patterns used for camouflage uniforms by the SS and painted at least one sample each, both spring and autumn versions. I found that there were two I liked the most and those were Eichenlaub (the spring version) and Erbsenmuster. So while my forces will still have some odd other camo mixed in, the majority of the troops will now wear these two types of camo. And this also suits my needs quiet well, since most of the action these minis will see will be rather late war, when these types were already in use. Up first are the troopers in Eichenlaub. 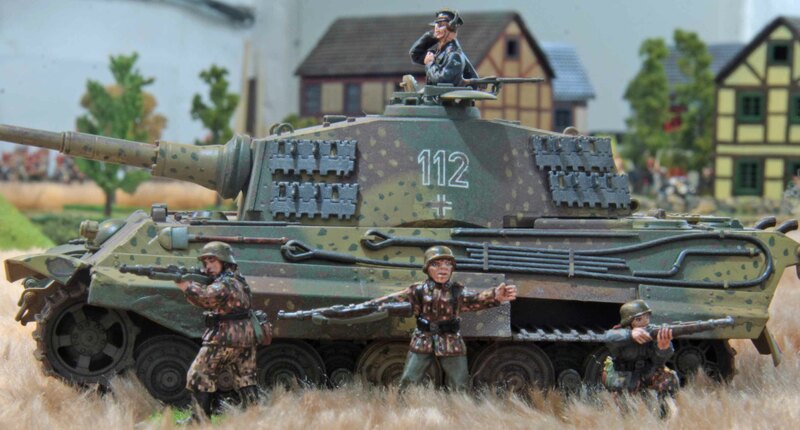 All the minis are from Victory Force (as are the minis in Erbsenmuster), which are still my favorite minis when it comes to WWII Germans for the love for historical accuracy and detail. I only found that the faces were quiet different in style from the ones I have painted over the past 1 ½ years and that these were giving me some pain. Painting these was straight forward. Feldgraue trousers, jackets in a lighter Feldgrau to represent lighter fabrics for the jackets (you can only see the collars of course), Eichenlaub smocks and in one case helmet cover (mini on the far left). Otherwise it is just the utensils carried by the men and the camouflage painted helmets and they were done. Now with the Erbsenmuster I went a bit further. Now the Erbsenmuster was no used for smocks, but for trousers and 1943 and 1944 type jackets. So I went and used Heer type minis for them and painted them accordingly. While the shades are virtually identical regardless of factory and age for Eichenlaub, there are huge differences in shades with Erbsenmuster. I guess this is due to the lower quality of dyes during the late war period. So I went and mixed and matched a bit here. Bold and bleak patterns in this group and even on one mini as well as a regular Feldgrau jacket mixed with camo trousers. I really love what you can do with these. What else. Well this week saw my birthday (36th if anyone is asking). So what did I get? Well my better half was kind enough to grace me with a few vehicles from Warlord Games. Three Daimler MK I scout cars (one will be converted) and a Unic Halftrack with 3,7cm PaK (this will joined the three regular and one command variants still in my painting queue). Great stuff, which should allow me to round out my armored forces in due time. From my parents I got the Rousellot book on French Napoleonic uniforms. Leafing through it, this is one of the best and most comprehensive books on the subject I have seen so far and should make a great addition to my collection. Some of the first minis painted for the above mention Painting Challenge will be the Limited Edition minis from Martin K´s Befreiungskriege blog which contain a foot artillery drummer and two train soldiers. Looking at the drawings of those last night, I am sure this book will be extremely handy! As announced in a recent post, I was going to do a birthday give-away on this blog. So what are we celebrating? Well, three things actually. For one this blog turned two last month. Second this blog reached 150 followers (actually this figure was actually breached this week, so welcome to the two newest followers). Third we breached 150.000 hits. So with three such benchmarks within 1 1/2 weeks I feel it is time for a giveaway. 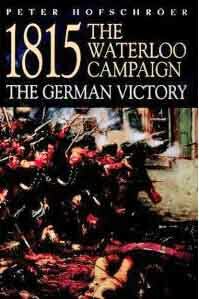 First up there is “1815, The Waterloo Campaign, The German Victory” by Peter Hofschröer. (Paperback, read once in good condition). I like Hofschröers books. They are off the beaten track when it comes to the Waterloo campaign. since they do not just focus on the view of things based on Wellingtons memoirs, but try a broader approach. Especially taking into account the German perspective of things. I often feel that this makes sense, since the majority of Allied troops actually came from Prussia, Hannover and Brunswick or in other words… what is now Germany. The nice thing about this particular book is, that it also goes into what happened after Waterloo when the Allies marched on Paris. 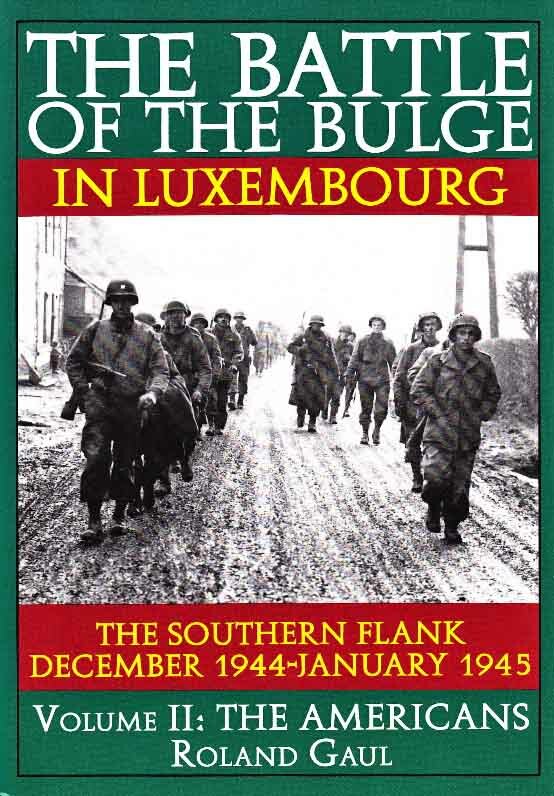 Up next is “The Battle of the Bulge in Luxembourg, Volume II: The Americans” by Roland Gaul. (Hardcover, unread [for some reason I bought this one twice, so I am giving away the mint one]). Gaul, a historian from Luxembourg , covers the events from the American perspective, breaking the events down to into small actions. The book is ripe with first person accounts and photographs. I think this offers great ideas for skirmish games set during the Battle of the Bulge. 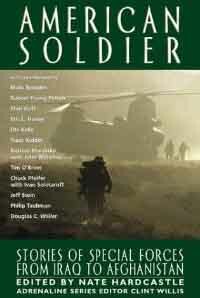 Up last is “American Soldiers” (Paperback, unread). This one features excerpts from a number of books outlining the actions of American elite forces during the last two decades. While not a coherent book, this should also give people a good inspiration for small unit actions. Comment on this post If you prefer one of the above books above, mention it. If it is still available at the time your name gets drawn, it is yours. Be a subscriber to this blog. There are essentially four ways to do this. (i) If you have a WordPress account you can follow this blogs, via WordPress. (ii) You can subscribe via eMail (first option from the top on the right). (iii) Or you can be part of my Facebook friends list. (iv) The fourth option is to have this blog on your blogroll on your own blog (I know there are people who follow blogs that way). You need to be a subscriber at the time of the draw obviously, but I would be happy if you remained one after it, too! You do not need to post about this give-away on your blog. But if you do, you get a second ticket in the draw. And this is it. The draw will be held on the 12th of this month 0800h CET, so make sure you toss your hat in the ring by that time! Good luck! 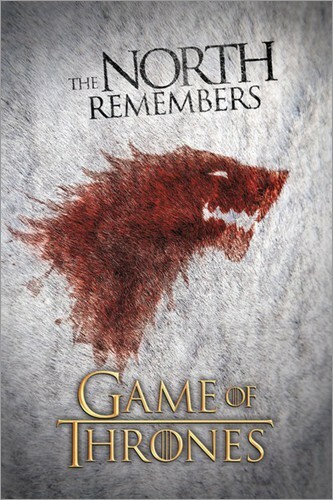 OK, some of the regular readers of this blog might remember that I told you I had started reading the books that the TV series Game of thrones is based upon. This week I finished the last one published so far and wanted to give you my verdict. First of all let me say, that George R. R. Martin has created a great setting and a marvelous background. The world he describes is great and en par with the ones created by for example Tolkien or Pratchett. I really love the depth to it and the fact that it is not all magic. If you read the first book it is (with the exception of the White Walkers and the Wrights) a medieval story more than anything else, although with very fantasy like settings. At the end of the first book you get the birth of the Dragons (for those of you who have not read any of the books or seen the series this is going to be the only spoilers… promised) and magic finds it way into the world. In the books this is done in a very sublime way, which is great. Now the mass of detail which gives so much feel to the world carries on to the characters both in their detail and numbers. But in their case this can be a let down as well. At times he goes on for pages about the history of some minor knight and their heraldry symbols, which can leave the reader overwhelmed. At one point I learned, that it is often not worth remembering, since these characters never make a second appearance. And in those cases that they do… well you can always look it up on the internet. This wealth of characters also carries a second problem. There are so many that Martin can kill them off like flies. Which is not a problem when it is some lowly Sergeant or stable boy, but often it is main characters as well. And this is often done in a single sentence or even just by word of mouth. If it is a character that you have come to like, a villain that you expect to have a moment of compassion or one character where you have had to read hundreds of pages of their plans, this is just plain annoying. Same also goes for some subplots which are just hinted (over dozens of pages), but never lead to anything and probably never will since all the characters involved are dead. If you have had to read through dozens of pages that left more questions than answers that will never be solved, it is just plain annoying, too. The other big let down from my point of view is his writing speed. I know everyone can work in his own speed , but the work should not suffer from it. Now I need to do some explaining here. The fourth (“A feast for crows”) and fifth (“A dance with dragons”) book are not in chronological order, but virtually simultaneous. They are split geographically with some character only being used in one book while the rest are used in the other (the last few chapters of “A Dance with Dragons” brings both lines back together though). Now between the publishing of the third book and the fifth there were eleven years. Now if I had not read the books back to back and would have had to wait eleven years for a word of some of my favourite characters, I would have been bleeped. But as I said, Martin has a right to his own speed. But the bad thing about it is… if you read them back to back you will realise, that some of the characters have changed a lot over the course of a couple of days (which is the time that lies between the 3rd and fifth books in the story). While they had important events happen to them, none would explain the gravity of their changes. Which is sad since I feel that Martin himself has forgotten the essence of some characters over that period of time. So in that sense he took too long for his own good. The last mood point is, that some times the books can get slow going. For example I felt that most of them held too little tension for the first between 100 and 200 pages. And the arc of suspense is usually too steep with his books. It rises fast, but drops even faster after a short period of time (usually through the one-sentence-death of one of the main characters). Final verdict? Well I think there are deficits to the books and I hardly dare say it since many people hold Martins writing style in god like status, but it mostly comes from his writing style being a bit rough and not fully developed. Writers like Steven King, Dan Brown or Terry Pratchett could have turned this into a real masterpiece. But bottom line is, it is good enough and the setting so intriguing and addictive, that it is well worth reading it. I am waiting for the next installment and hoping that not all character meet such a hasty death in the end! 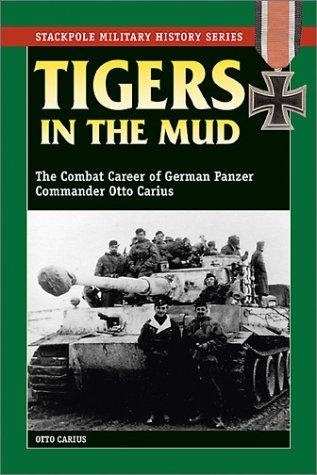 Now the book itself has 365 pages and includes a lot of photos from the authors combat career (the majority from his time when he was not commanding a Tiger). Now the actual narative (including forewords for the various edtions, afterword) only goes to page 230. The rest is glossary, translations of official reports and copies of his award citations (both the German originals and edited ones in English). The emphasis of the book is hard to grasp from the begining. For example the time from his enlistment in the Panzer forces, the deployment, Operation Barbarossa, officer candidate training, till the summer of 1943 take a mere 16 pages! It is like he never felt that his time before he commanded a Tiger are of any importance. But given the title, this might have been expected. Unfortunately the rest is not that mush better. Some engagements are described in little detail. Often he anounces them in way that the reader actually expects something interesting, only to say that they were relocted after taking part in the operations. Other engagements are described in more detail, but read rather like an official report and do not really go into detail. And at times they were not quite chronological either. All his accounts are intersperced by describtions of his colleagues, which would be fine, except most of them do ot play any role in the book except for the paragraphs decribing them. He often goes on why his way of leading leading a unit or doing things in his tanks were the right thing and any other way could only lead to failure. He is not to say that he did not make mistakes, but that is rare and most of the book depicts him as more capable then those around him. Often he also goes on about how society has betrayed the German soldiers after the war, how everyone was just fighting because of their comrades or for their honour, but to be honest… It did not sound convincing to me. These sections were most annoying for another reason, since they usually did not add up. Hardly any paragragh would would end in a way that fit its begining. It often is rather a strange rambeling. Over all this mix of battle reports, stories from the front, characterisation of colleagues, philosophy on unit leadership & battleskills and historical justification is at times quite hard to follow and does make for a below average read. There are some interesting parts, but for me this was a very short part of the book. So how is my final verdict. Official retail is 19,95 US$, but is is worth only about 4,00 US$. 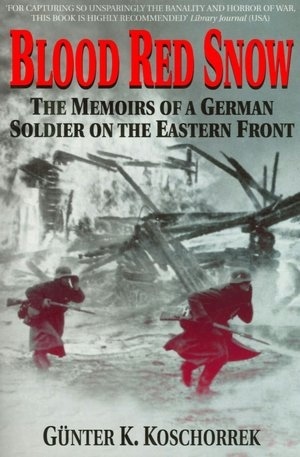 As the title suggests the book tells about the personal experiences of a common soldier on the Eastern Front. He does not attempt to give a overview, about the whole war in the east, but just his personal experiences. Even to the extend, that he does not want to mention his unit. Although from a few remarks he makes about the unit and their insignia I assume that he was in the 24th Panzer Division. The author joined the division as a replacement while the division was fighting inside Stalingrad. Now the text on the back of the book states that it is about the fighting in Stalingrad, but this does not hold true. He tells about his replacement train having to march across the steppe since the railroad track was sabotaged by partisans, live on the edge of Stalingrad with the trains and an incursion into the city to deliver food and supplies. He goes on to tell how the city was surounded, how the Soviets penetrated their lines to attack the Rollbahn (main supply route) where he was part of the defense as a machine gunner and how their defences were broken and they had to flee across the Don before he was wounded. That is about all you get from the fighting inside Stalingrad. Does it diminish the book? No not the least! The account is very realistic and gritty and give a real feeling about how live on the Eastern Front was. And it goes on like this. After his recovery he gets send back to his unit, has short tour in Italy and fights on almost to the very end (he was recovering from his 7th wound when the war ended). He gives very detailed acounts of how live was, how his friends died and how they felt about the situation in general. And he tells how he ended as an American POW and did everything not to be handed over to the Russians. The greatest thing about it is that it stays out of politics. He does not try to get into those and he does attempt to justify why he fought formthe Nazi juggernaut like so many others do. This story is told at the squad and platoon level and I recommend this for people who like personal memoirs of common soldiers as opposed to books that tell the big picture. So how good is it? Well official retail is 17,95 US$ and I think it is worth every penny. By the way… When I packed my suitcases for this holiday I forgot that I had already read this book a couple of years ago, but I still felt it was well worth a second read. Today I want to start something with new. For me part of the hobby is historical research. Obviously this means reading books, too. Now I do not have as much time for that as I would like these days, but from time to time I manage to finish a book. 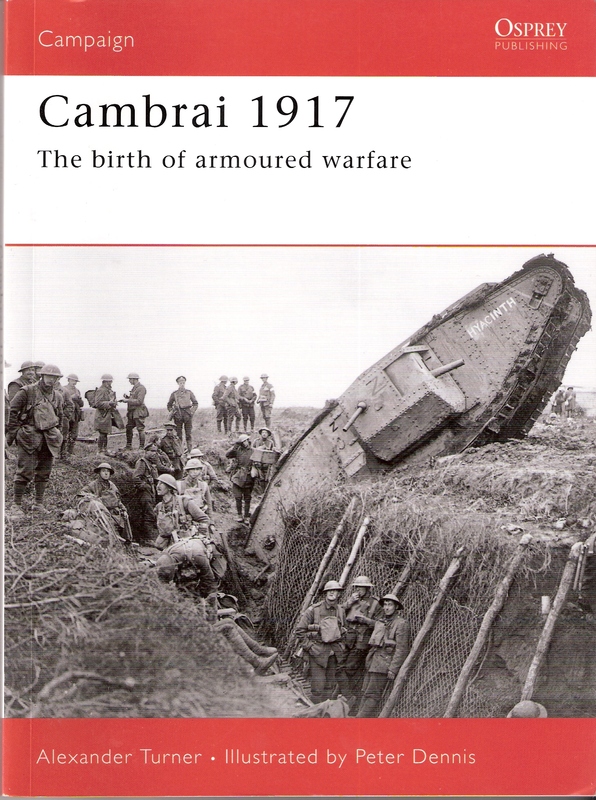 So here is the first, Ospreys Campaign 187 “Cambrai 1917, The birth of armoured warfare” by Alexander Turner. Facts first. The book itself contains 96 pages, filled with contemporary photographs, the Osprey specific colour paintings (by Peter Dennis) and a number of maps. It covers the timeframe from the planning stages up to December 7th 1917, or in other words roughly 6 month. The rough historical context, planning stages and descriptions of forces and commanders cover the first 36 pages. The actual combat (November 20th to December 4th) covers pages 37 to 87 and the rest is the aftermath, historic notes and so on. This actually shows the biggest deficit of the book… too little room for such a large battle. In both major fields (preparation, the battle itself) there simply is not enough room to do more than scratch the surface. For example when it comes to the commanders, it only covers two British (General the Hon. Sir Julian Byng and Brig.-Gen. Hugh Elles) and two Germans (Kronprinz Rupprech von Bayern and Gen. von der Marwitz) each of them receiving about 1/3rd of a page. Same holds true for the parts covering the combat as well. At times you get a paragraph or two covering the battle for a village, other times the action of a whole Regiment only gets a sentence or two. In the end it makes it hard to understand the whole strategic or even tactical context. Unfortunately this is about all I can say about the book. It is too short and as a result far too basic to cover something as big as this battle. The photos, paintings and maps make it worthwhile, but the text… well one should rather save the money and buy a real book on the topic. So how do I rate the book as a whole? I have decided to rate the books I review by relating their real value to their official retail. So if you really want to buy the book… official retail is 18,95 US$, but it is only worth about 5 US$.